Malaysia has closed 34 schools after hundreds of people fell ill when toxic waste was dumped into a river, the education minister said Wednesday, warning the situation was getting worse. 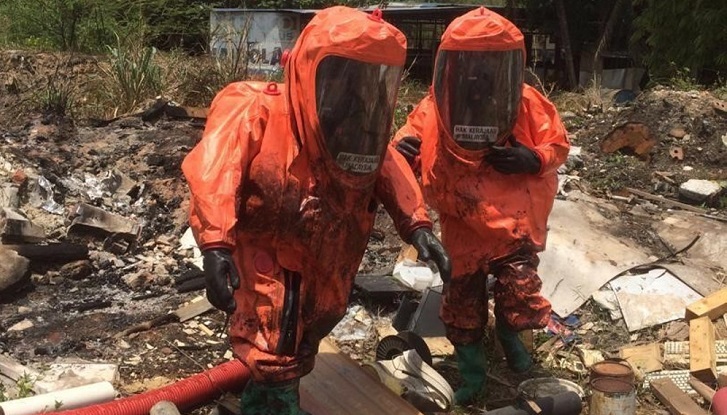 A lorry is believed to have dumped the waste in southern Johor state last week, sending toxic fumes across a wide area and causing those affected to display symptoms of poisoning such as nausea and vomiting. About 300 people, many of them children, received medical treatment after inhaling the fumes and scores have been admitted to hospital, according to official news agency Bernama. Reports said it was unclear what type of poisonous gas had been emitted near the industrial town of Pasir Gudang. Education Minister Maszlee Malik said he visited the area and saw scores of students being brought by ambulance to a makeshift emergency centre. He then decided to order the immediate closure of 34 schools.